The report discusses the evolving definition of a toy – play has not changed but toys have over the past 100 years. Digital toys have increased greatly. Parents may think that electronic toys and digital media are necessary for developmental progress but there is no evidence to support this. symbolic or pretend play toys – i.e dolls, action figures, etc. art i.e. play dough, coloring, paints, etc. These toys do not need to be expensive. Many household items can be used for play (i.e. kitchen pots and pans, bread dough for play dough, refrigerator magnets, shoe boxes for blocks, etc). Many caregivers think that electronic toys (i.e. light up toys for infants, tablets for older children) are important for neurotypical children’s overall development. Evidence indicates that the basic elements of some electronic toys take away from social engagement between the child and the caregiver. For example, when children use electronic toys, they are not learning to read facial expressions of others or interpreting vocalizations. 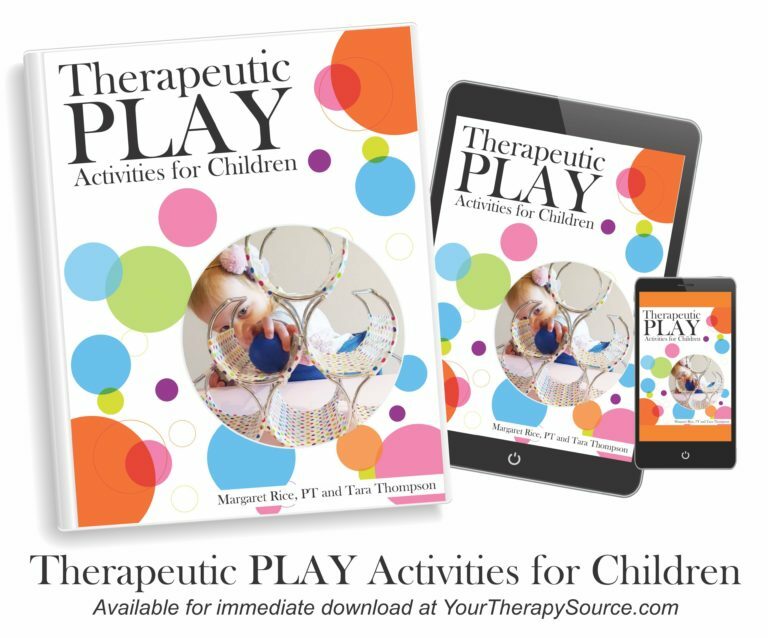 When using a digital toy, children are usually in solitary play which again is not beneficial for child-caregiver interactions. These interactions between a child and a caregiver are CRITICAL for the healthy development of the child. When children play with electronic toys, research indicates that there were fewer adult words, decreased conversational turns, less parental responses and less content specific words that when children played with traditional toys. 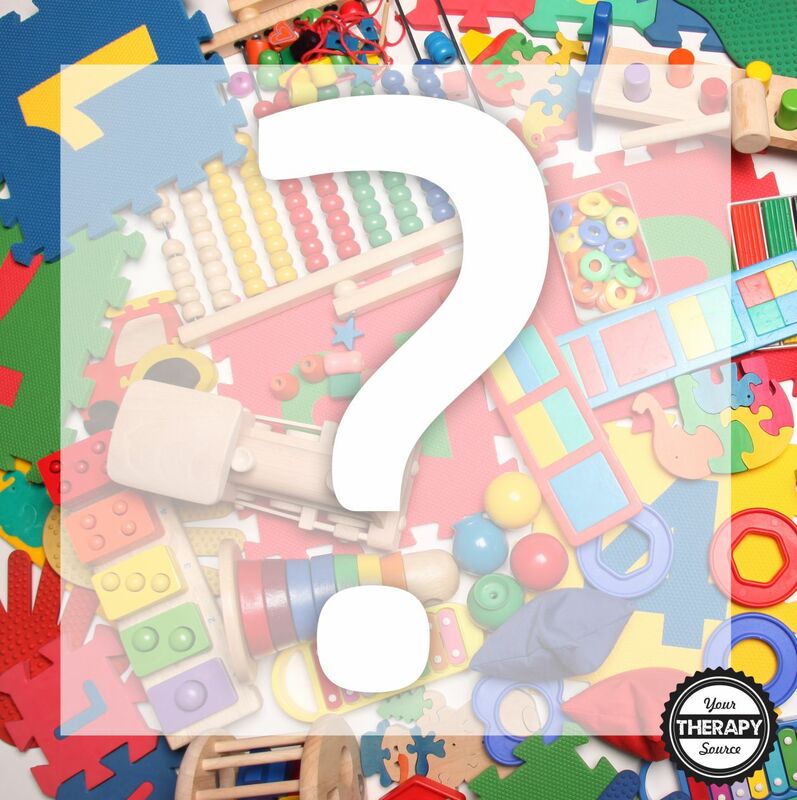 For children with developmental delays or disabilities, it can be difficult to choose appropriate toys because the recommendations on toy packaging is based on age not developmental skill level. Pediatric speech, occupational and physical therapists can help guide caregivers on the best toys for a particular child. Toys can be adapted in design by modifying how a child accesses the toy. Examples of this would be using a switch to turn a toy on and off or making game pieces larger to make them easier to manipulate. Electronic toys and technology can be very beneficial for some children with disabilities but just as with neurotypical children the digital “toys” should be used while interacting with caregivers. Can you believe that in 2015, 96.9% of children had used a mobile device and most started using them before 1 year of age? This increase in screen time is associated with a decrease in active play and play with toys. The report recommends that children need to use their hands to manipulate toys and strengthen the brain connections to learn spatial and mathematical concepts. 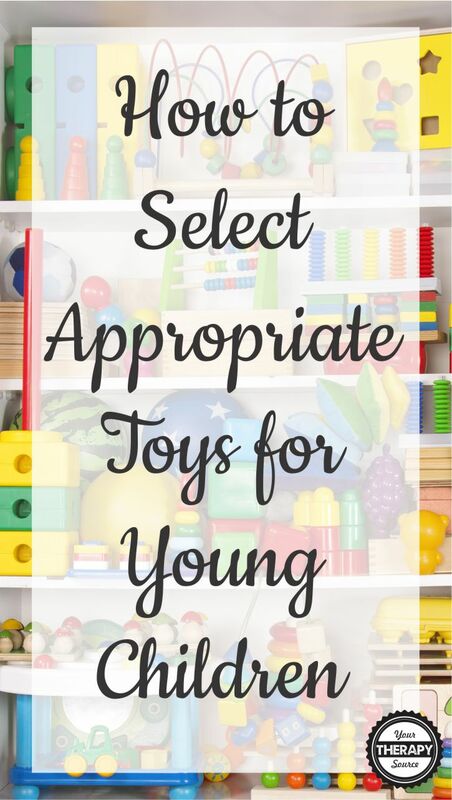 When selecting a toy, keep in mind that one of the most important reasons for play time during childhood (especially during infancy) is not educational but to encourage warm, supportive interactions and relationships with humans. The best educational toys are ones that encourage interactions between caregivers and children during play time without conditions. Children need developmentally appropriate toys that encourage growth in all areas of development i.e. communication, fine motor skills, gross motor skills, social-emotional, etc. Look for toys that are not overstimulating and that promote imagination. Simple toys are excellent to promote children to use their imagination, be creative, problem solve and interact with caregivers. Read out loud to children. Use children’s book to help spark ideas for play scenarios. Take advantage of your local library. Use toys to increase the child-caregiver relationship rather than to direct children’s play. If you have concerns about the safety of a toy for your child, ask the advice of a pediatrician, pediatric therapist or other health care providers. Take a close look at toys to determine if there is any potential to encourage any stereotypes. LIMIT VIDEO GAME AND COMPUTER USE! The recommendation is that children less than 2 years old should have no screen time and children over 2 years of age should only have screen time less than one hour per day. During media use, children younger than 5 years old should be accompanied by a parent or caregiver to increase interaction. Select toys that promote mental and physical activity. You can read the complete clinical report here. Reference: Healey, A., Mendelsohn, A, Council on Early Childhood (2018). Selecting Appropriate Toys for Young Children in the Digital Era. Pediatrics Dec 2018, e20183348; DOI: 10.1542/peds.2018-3348. 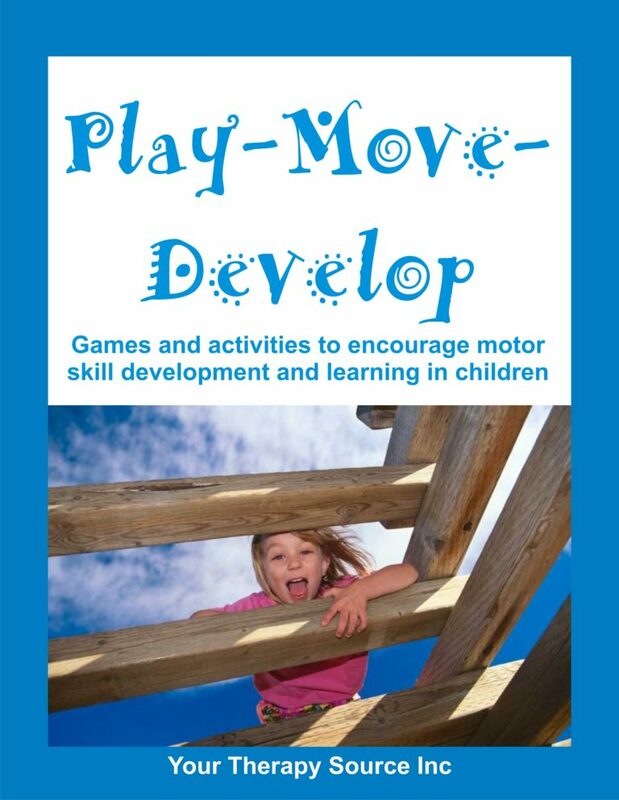 Need activities to encourage motor skill development in young children?